Abstract: The John Raymond French Papers include correspondence, student work, and notebooks from his time at Syracuse University. John Raymond French (1825-1897) was a professor of mathematics and the first dean of the College of Liberal Arts at Syracuse University. French was born in April of 1825 in Oswego County, New York. As a young child, his father fell ill, leaving French to pay for his education on his own. He first attended school at a private academy in Southland and then moved to Mexico Academy, both in New York, where he taught for the winter terms and attended classes during fall and spring. For income while attending classes, French rang the bell at the academy. After six successive winters of teaching, French taught for a full year. Money from this year allowed him to spend his senior year at Union College. In 1849, French graduated with a Bachelor of Arts. From 1849 to 1853 French taught at Falley Seminary in Fulton, New York. During this time he earned his Master’s degree from Wesleyan University. In 1853, French was named principal of the seminary, but due to health reasons he left the post just one year later. Later in 1854 he worked as an agent for Troy University until becoming principal of Mexico Academy in 1855. In 1859, French married Eliza A. Montgomery and was also admitted to the bar. He entered into a legal partnership with his brother George G. French and practiced law in Mexico, New York. French began teaching as a professor of mathematics at Genesee College in 1864. While a professor, he earned his Doctor of Law from Allegheny College. In 1871, French became the first dean of the College of Liberal Arts and a professor of mathematics at Syracuse University, which had just been founded in 1870. While in Syracuse, French was also involved in the University Avenue Methodist Episcopal Church, serving as trustee, steward, Sunday-school superintendent, chorister, and secretary of the board of trustees. In 1895, he was made Vice Chancellor to Chancellor James Roscoe Day at Syracuse University and served in the position until his death in April of 1897. After his death, a professorship of civil engineering was named in his honor, which today is known as the John Raymond French Distinguished Professor of Mathematics. The General Correspondence series consists of incoming and outgoing correspondence, many concerning payment of loans, exams, or degrees as well as expressing interest in the various programs at Syracuse University. The Individual Correspondence series includes either substantial incoming correspondence from various individuals of his professional life or incoming correspondence from notable figures, such as Chancellor Alexander Winchell or Melvil Dewey. The Notebooks series includes four notebooks containing French's notes about his classes and students. The Student Work series includes assignments and exams from French's students. The Syracuse University Archives holds a clipping file and portrait file for John Raymond French and also has bells that belonged to him in the Memorabilia Collection. Comfort, George F. (George Fisk), 1833-1910. Haven, E.O. 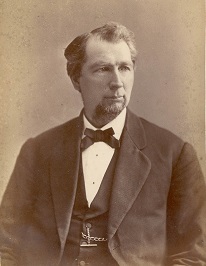 (Erastus Otis), 1820-1881. Reid, J.M. (John Morrison), 1820-1896. Sims, C.N. (Charles N.), 1835-1908. Smalley, Frank, 1846 - 1931. Wells, Newton A. (Newton Alonzo), 1852-1923. Syracuse University. -- College of Arts and Sciences. The Syracuse University Archives does not have information on how the John Raymond French Papers were obtained. Materials were rehoused in acid-free folders, boxes, and envelopes. The materials have been arranged either alphabetically or chronologically by series.